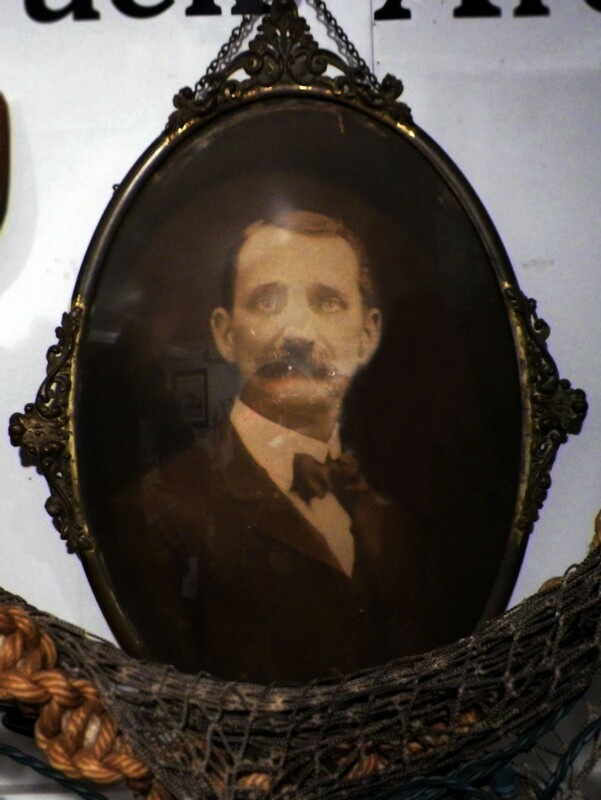 Virtues from Motherhood: What is luck anyway? All my life I’ve heard people tell me I was lucky but every time I heard it as a kid I was confused. Growing up I thought we were like every other family, nothing special, and that all kids lived like I did. Now we weren’t the Kennedy’s or the Kardashian’s by any means but we did have it better than most. Forgive my childhood ignorance but I could never see what luck people always told me I had, to me luck was lots of money, good looks and material things. It wasn’t until I was much older, I’m talking after having Ava that I realized luck is not something you really throw a dollar sign on. After I started doing taxes and helping people sort out their financial woes it hit me, I’m lucky that I grew up how I had. Now I’m not saying money makes you lucky, I’m saying I’ve seen people who have nothing, they worry if they’ll be able to keep food on the table and their family has left them behind. I’ve seen women who are raising kids truly alone, with no family and no moral support break down and cry. Other people are not as lucky as I am. Other people don’t have a family who rallies around them and helps them up when they fall, other people don’t have the mind I was gifted with to work in multiple fields. Other people aren’t as lucky to have their health and be able to do something as simple as walk up and down steps, or breathe freely. Luck is immeasurable. The next time you wish you had a cushy job or didn’t have to work at all think of those who have to work just to keep their lights on, just to make it. The next time you roll your eyes at your mom’s umpteenth request to do something, think of those who’ve lost their mother or worse, never knew her. The idea that luck is material is secondary to the luck that keeps us alive, that means we get to see another day. People who are lucky are people who are gifted with their health, with loving family and with natural ability to do something, like athletics, math or writing and they don’t measure the luck they by the amount of money that brings in. Luck is the ground you walk on, the eyes you see with, the voice you use to talk to people. So use that voice to do good, to spread love and positivity, spread education and spread the idea that luck is in the people that love you and not in your wallet. On Wednesday I walked out of my apartment wearing a hoodie and a jacket, thinking that outside was chilly based on how the previous days looked. When I got outside I was surprised by how warm the weather actually was. I had to go back inside and change. Some people even brought out their dresses and flip-flops as if it was summer. Yet later that day, weather reporters were talking about a snow storm heading our way for Thursday. Wait what? The snow fell so much that schools were closed and people were advised to stay safe. Crazy right? How the weather seem to change seasons in just one day. While this change can appear that way for us, is it not surprising at all for meteorologists. They are scientist that study the atmosphere and most of them in this field work for a “government agency, the National Weather Service”. What I understood of meteorologists prior to doing this post was that their job was to study past weather reports in preparation for what can occur in the future. However, they can do way more than that. According to the website ‘CollegeBoard‘, meteorologists can also be hired by businesses “to help them make decisions based on the weather.-Conduct research, [study] the atmosphere, climatic changes, or environmental problems”. People who might be interested in going into this field must be good in using computers, doing math, science and English. The use of computers is highly important for this career. Meteorologist use computers and intricate math to interpret weather information. Some examples given on the site were for “temperature, wind speed, and humidity.” Those that consider this occupation must have a passion for the science behind it, so they must do well in the subject as well. Finally, they will need English because meteorologists are going to write down their reports and to do that they will need to make sure they are clear in the point they are trying to make. Those that are grad students wanting to become a meteorologist do not need to “major in meteorology”, yet they would need to accomplish demanding course requirements if they desire to work for “the federal government right after earning [their] bachelor’s”. This field is competitive so getting a graduates degree can be just the something that makes you stand out. Becoming a meteorologist can be an amazing job for those curious about the weather, change in climate and predicting if it will rain or snow. In my opinion it is a great field for those that have a love for the environment and are good in the subjects I mentioned above. If you want to know more about this career check the website provided in this post as well as the link on that page. Thank you for reading. If you found this post interesting, helpful or whatever- you can leave a comment bellow and be sure to continue to explore your own path towards academic self-discovery. Out of all the desserts that can be consumed throughout the world, I am the biggest fan of ice cream. I find that ice cream can be prepared in so many ways that it can vary in flavor based on the region and its flavor options. Ice cream has evolved so much over the years that it can truly be created in a differing way. There is sweet and savory, store-bought and artisan as well as those that accommodate dietary restrictions such as vegan or gluten-free. I have such a love for ice cream because it is always changing to adjust to the modernization of ingredients. Taiyaki is a Japanese fish-shaped cake which literally means baked sea bream. There are many variations to this Japanese delicacy which come with an array of fillings both sweet and savory. The most common filling is the red bean paste which consisted of sweetened azuki beans that is ground into a thickly smooth paste. 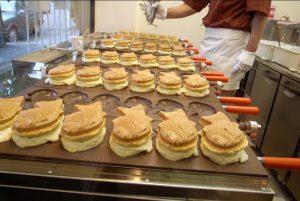 Taiyaki is readily created by the use of waffle batter as well as pancake batter depending on the shop selling them. The batter in then placed into a mold that is shaped like a fish for each side after it is cooked lightly, it is then filled with the desired filling. Then, both halves of the fish shaped waffle is put together to closed the mold then it is cooked on both sides until golden brown. Usually after it is fully cooked is when the soft-serve ice cream is added to top the waffle. Taiyaki is such a creative dessert as it truly evokes many different textures in one single dessert. The waffle itself comes from a recipe that is designed to be chewy on the inside and crispy on the outside then it is generously paired with the smooth, creaminess of ice cream that fills the entire waffle. Taiyaki has taken New York City by storm in that it has been added to the latest food trend craze. 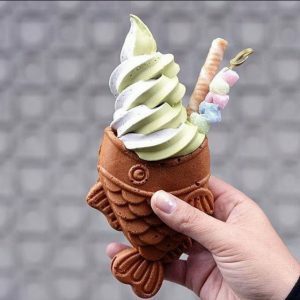 One of the most iconic places to purchase this particular dessert is at Taiyaki NYC which is located in Lower Manhattan and is very inexpensive in that it only costs about seven dollars to purchase an ice cream filled waffle. The flavors of ice cream is constantly updated which makes the experience all the more fun. Comment below some of your favorite and most unique experiences with ice cream that you have tasted. After vacationing in California and driving by a coffeehouse in the shape of a coffeepot in order to draw in the driving public, Martin Maurer and his wife Jeule brought back a piece of that philosophy with them. 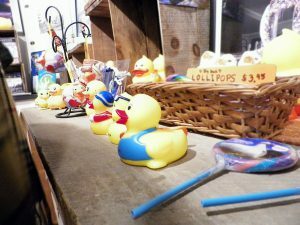 They thought it would help their 27-acre duck farm business and bring more customers to their store. So in 1930 they set out to achieve this goal and hired George Reeve, a carpenter, and brothers William and Samuel Collins, set designers. Together, they fabricated something that would later be called the “decorated shed”. 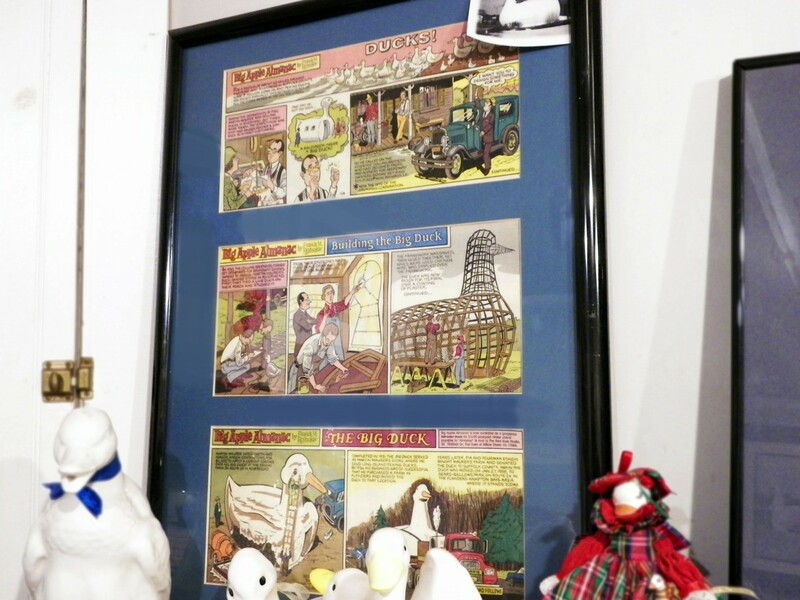 The wooden frame was set, creating a functional interior while starting the overall shape of the Duck. After the structural frame was assembled they began the skeletal work with mesh wire. Then, commenced the process of ferro-cement which entails the placement of a thin veneer of concrete over some type of reinforcement; various forms of concrete can be used, for example, mortar or plaster, in this case they chose cement plaster. The ferro-cement development was completed with the support of the Smith and Yeager Builders. 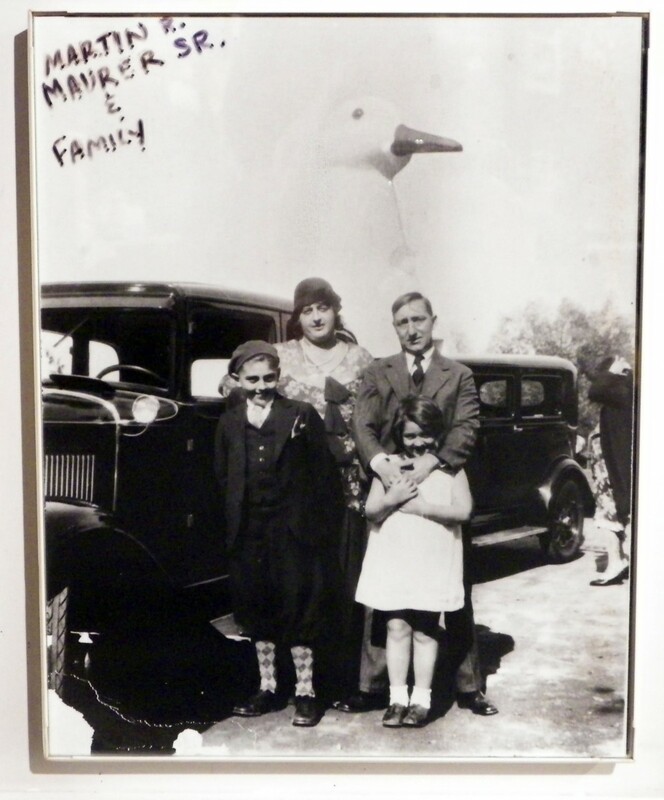 It was then painted; the body an angelically light white, the beak a bright yellow, and the eyes were engineered to glimmer red in the nighttime from the Model T taillights that were placed in each socket. It was completed in 1931 and became the jewel of Flanders, Long Island; standing (…or in this case sitting) at 20 feet high, 30 feet long, and 15 feet wide. Personally, I was excited to research this structure since it influenced an entire style of architecture coining the term “Duck Architecture” and was one of the major driving forces for the widely used style, Post-Modernism. As me and my mother pulled into the small parking lot adjacent to the Duck, I was immediately overwhelmed; “Do I just walk in?” “What do I say once I go in?” “Do I ask questions?” “Better yet, what are my questions?” I wondered. After quickly chipping away at my mother’s patience, she forced me to go inside. Greeted by warmth, a man, who I’d proclaim to be the Big Duck historian and went by the name of Mr. T, welcomed us and started to give us a briefing of the history of the Duck. 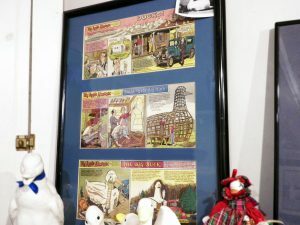 From the day it was created to today the Duck has migrated to three times before making its final trip back to its nest also known as Flanders, Long Island; with each move marked a change in ownership. Mr. T and other locals told us that moving the Big Duck threw off navigation for many as the term “Turn left/right from the duck” was depended on, heavily. After facing the risk of demolition on the last move, the Big Duck was saved by its supporters, fighting for it to be recorded in the national historical landmarks. “Some Brooklyn kids fought to keep it in the ‘80s.” is the way Mr. T put it. In December of 1987 the last owners of the Duck, Kia and Pouran Eshghi, made a crucial decision and donated the Big Duck to the county of Suffolk. Now it’s a gift shop and is managed by the Friends for Long Island Heritage. 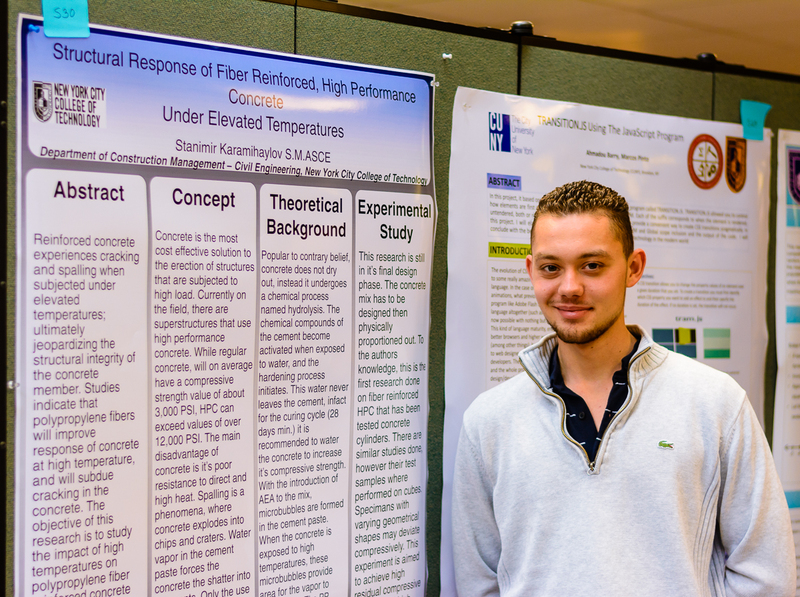 Overall it was a great experience and I feel like it was the most fun I have ever had doing research. I think it would be fun for anyone who likes learning about historical landmarks or just loves exploring roadside attractions. 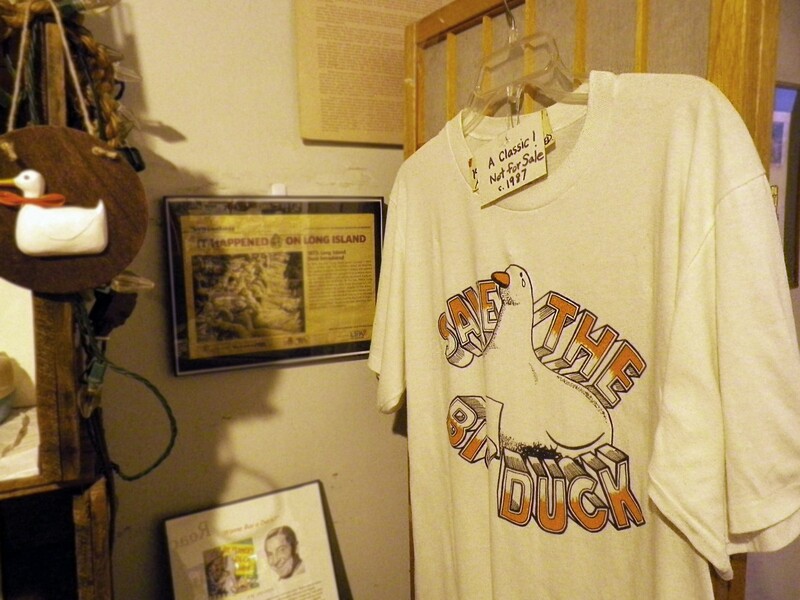 Try it out and visit the Big Duck, it might be tiny but it’s packed with lots of history. This past Friday I had the privilege of speaking on a panel with the First Year Programs office. The focus was around preparing high school students for college and why there is such a disconnect. City Tech faculty, as well as some high school educators were in attendance. Professor Jennifer Sears invited me to sit on the panel as the student voice after being her ENG 1101 classes peer mentor this past fall. I was pretty nervous to join the panel not only because I was the only student but because at one time I was the student that this particular panel was discussing. My own transition to college was difficult to say the least and I wondered if things would have been different for me had there been so many people trying to fix the problem when it was me who was drowning. I was glad though, that I was able to speak up and represent those students who feel like the system fails them and that nobody really cares if they make it or not. Being asked to speak in a room full of educators is an honor, but it is also nerve-wracking to say the least. It’s an odd space to be in because although I am a student I am also a professional, having worked in my current job for 6 years as a manager. I can identify with the student struggle with the issues I deal with as a CUNY student but I can also identify the red tape and loopholes large organizations present you with that make it hard to reach every single student. I used to wonder why I ended up walking the path that I did, albeit some of it was my own doing, I still wondered what fate had in store for me. I think I was meant to struggle a little bit longer because I would eventually be able to advocate for others. For those who can’t or are too afraid I was able to sit on that panel and say this is what’s wrong this is what we can do better for them. Every person is not born with an enormous voice or will power, some have to be nurtured and worked with to get to that point, and if my struggles can help someone else get there, I am okay with it. 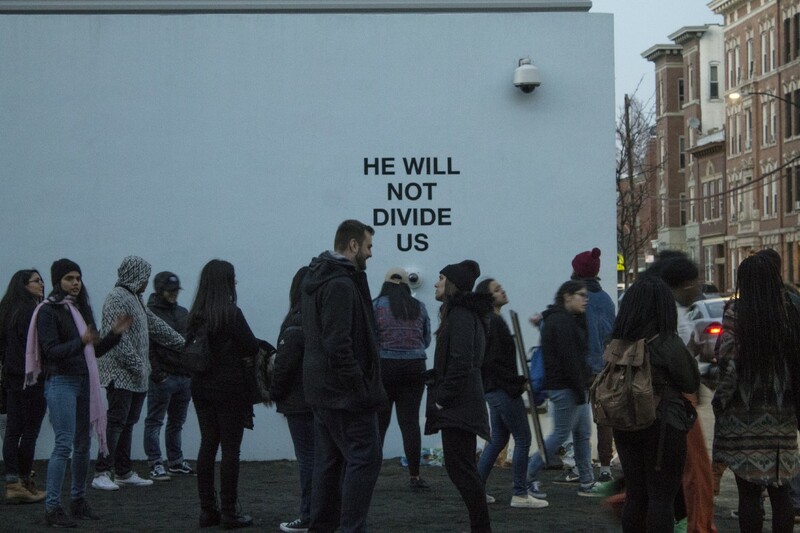 On January 21, 2017, Shia LaBeouf, Nastja Säde Rönkkö and Luke Turner launched an art installation in Queens, New York. It’s no irony that it was unveiled on the same day as our new President’s inauguration, because it has everything to do with him. 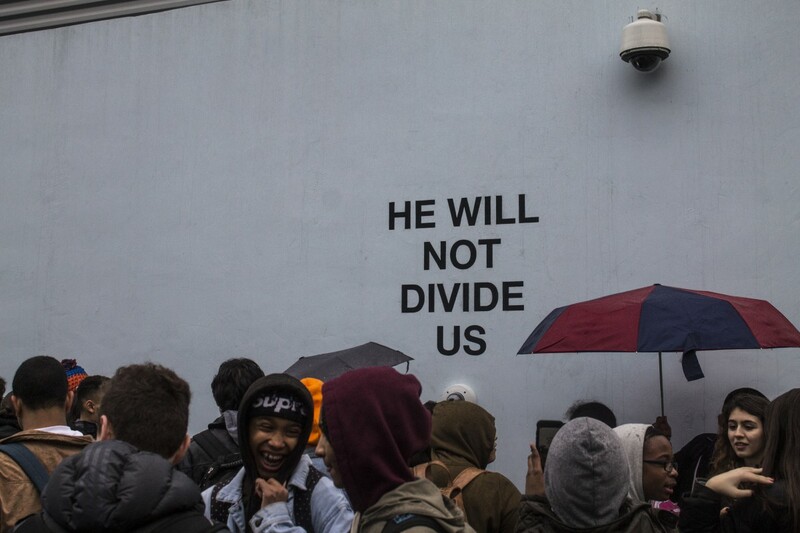 Outside of the Museum of the Moving Image (one of New York’s best museums) stands a wall with a small camera and microphone, and a big mantra on the wall reading “He Will Not Divide Us.” He Will Not Divide Us has allowed everyone in the neighborhood to come together and meditate while repeating the mantra together. It has allowed leftists and rightists to respectfully come together and debate “He,” his policies, and antics, as well as their personal points of view. It has even allowed Neo-Nazis, white supremacists, and trolls to come together in person to make jokes, spew hate and eat pizza (all at the same time). All this happens in front of hundreds of thousands of people around the world, watching the livestream from their homes. The project will be recording live 24/7, for the next four years. At any given moment, there’s something happening on the stream. If you tune in at the right time, you might even see me there. I’ve made new friends during my occasional visits, and watchers have even sent me food while on the stream as a thank you for spreading the peace. Despite all the controversies, this stream has united us in a very weird way. He really won’t divide us after all. 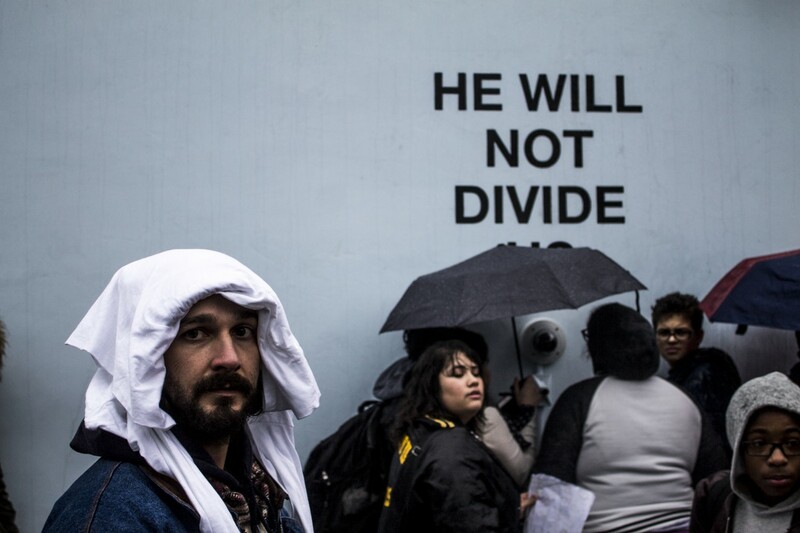 Shia LaBeouf at his art installation. Youth from the local high school promise to come to the stream every day. It is very apparent that I truly have a passion for food in all its forms and how it can be conveyed artistically. I thoroughly enjoy the labor involved to create beautiful desserts, but even more, I am visually captivated by the magnitude of precision included to reach that artistic perfection. As a food blogger, I find that I must utilize my platform in order to share the beautiful opportunities that food offers when presented in the utmost of ways. I am a firm believer that food can be an advocate in aiding many lives which only intensifies my passion. Because even more so, I love when the production of desserts are utilized to benefit local charities that aim to raise awareness of life-threatening illnesses or to fundraise in order to better financially support the causes in particular. I find that this is a more innovative and beneficial way of baking in terms of the food world. I have so often shared and discussed these ideas with my past posts, such as the expansion of lemonade stands around the world through the participation with Alex’s Lemonade Stand or the charity, Cookies for Kid’s Cancer. Both of which were charitable causes to support the fight against childhood cancer with fundraising practices to afford certain research and benefits for struggling families. 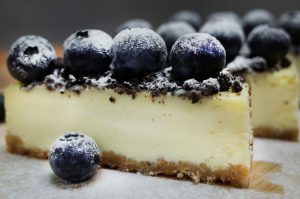 Cheesecakes for Change is another organization which was founded in the beautiful state of New York and is costly stationed in Staten Island. The organization aims to benefit local charities by sponsoring a particular charity each month on a constantly rotating basis. Essentially, for each cheesecake sold, five dollars out of every purchase will be donated to that specific charity. The charities vary each month from a vast spectrum of causes. For the month of February, Cheesecakes for Change is sponsoring Second Chance Rescue NYC which is a nonprofit organization with the sole mission of offering a “second chance” to all animals. In order to better protect them by giving them safer environments to receive the love and care that they require instead of being further subjected to abuse, neglect and homelessness. With the help of many dedicated volunteers, the organization continues to flourish while offering veterinary services and spay/neuter programs. They also aim to be a rehabilitation facility for animals while ensuring that there will not be an overpopulation, as they aim for all of the animals to be adopted. Funds received help to further their outreach by establishing their presence for community support through pet food donations, as well as hopes for an expansion to be able to accommodate a greater number of animals. The greatest incentive as a customer is to know that value of your charitable contribution…to understand the impact that your purchase has made. Cheesecakes for Change is also very accommodating to everyone’s palate and dietary restrictions. They offer specialize cheesecakes that are dairy-free as well as gluten-free options. Interested/appreciate ice carving? Well here’s an event for you! Next week, Saturday, February 11th from 3:00pm – 7:00pm, Central Park will be hosting their sixth annual Ice Festival. Artist from the Okamoto Studio will be present using materials such as electric chain saws, chisels, and “picks” to __________ over six thousand pounds of ice replicating statues around the park! This event is FREE of cost! That’s right, you get to see artist carving ice live for free. Ice carving originated during the Middle Ages when the wealthy hosted extravagant meals/banquets displayed sculptures made out of not only ice but also fruit. Ice Sculpting is considered a Cultural Olympiad event in the Olympics! I look forward to following up and informing you guys on how the event went! If you’re interested in joining me on this adventure let me know!